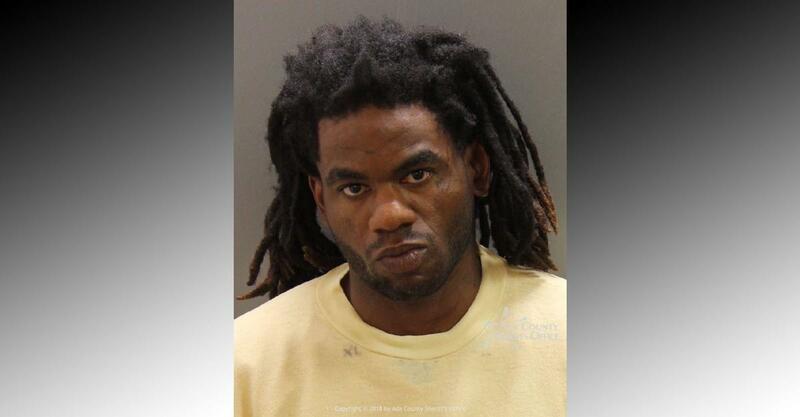 The man accused of killing a 3-year-old girl and stabbing eight more people – five of them children, all of them refugees – in June at a Boise apartment complex remained silent Tuesday morning when asked how he pleaded to the charges against him. Timmy Kinner, 30, is charged with first-degree murder and eight counts of aggravated battery in connection with the events of the night of June 30, when police and prosecutors say he attacked group of people at the Wylie Street Station Apartments near the intersection of Wylie Lane and State Street. One of the victims, Ruya Kadir, 3, later died of her injuries. Police arrested Kinner at gunpoint not long after the stabbing took place. He has remained in the Ada County Jail since that night, as a magistrate declined to issue bond for him July 2. Kinner has appeared in court multiple times since then, twice by video from the jail and once in person. In court Tuesday, which was scheduled as a hearing for an entry of plea, Kinner remained seated and said nothing when Fourth Judicial District Judge Nancy Baskin asked him how he pleaded. “Judge, we will stand silent and reserve our right to a speedy trial,” David Smethers, Kinner’s attorney, told Baskin. Baskin said she would enter a not guilty plea on Kinner’s behalf. A defendant in a criminal case sometimes declines to enter a plea. When that happens, judges often enter not guilty pleas for them, as Baskin did for Kinner Tuesday morning. By reserving his Sixth Amendment right to a speedy trial, Kinner and Smethers guaranteed the case would be heard within a six months, as per Idaho law. Often, however, defendants waive the right to a speedy trial if they believe prosecutors may offer them a plea deal, in order to give attorneys time to negotiate. Because Kinner, through Smethers, reserved his right, Baskin had to schedule Kinner’s trial in the coming months. Dan Dinger, the case’s prosecutor, said he anticipated the trial would take about two months. He asked for jury selection – the first step in a trial – to begin sometime in January. Baskin scheduled it for Jan. 3. Kinner is scheduled to appear in court before then, though. He and the attorneys in the case have another hearing scheduled 1:30 p.m. Sept. 5. At that time, they will discuss whether Kinner should be issued bond, and whether police should be able to speak to him at the jail without his defense attorney present. Published: Aug. 28, 2018, 10:45 a.m.